Ease of entry into the market is the one the most critical aspects for crypto adoption (decentralization), yet there are so few user-friendly, beginner gateways. In my last article I discussed exchanges (Binance and Cobinhood), centralized currently, that have recently launched or are planning to launch fiat gateways, which is great! However, they’re not the most beginner friendly options. There’s a large learning curve necessary to operate and trade on such platforms. So, if we’re looking for beginner, user-friendly platforms, the options are scarce. New comer user-friendliness goes to Abra, Blockport, Coinbase, and a few others that’s recently added a crypto feature, like Robinhood (yes, that’s Robinhood, not to be confused with the crypto exchange, Cobinhood) and Square Cash. In this article I’ll be discussing the former three platforms, including some with zero deposit fees. 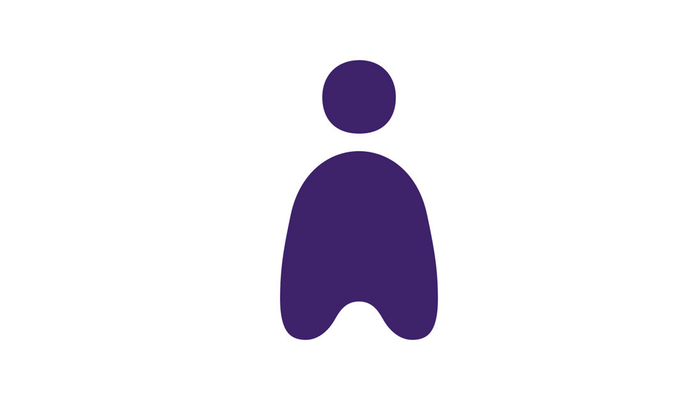 Abra is an app available both on iOS App Store and Google Play. The platform allows the purchase of over 25 cryptocurrencies with fiat (USD). The company boast instant purchases for coins listed, which is made possible by their partnership with American Express via credit card. For bank deposits users can expect to use their funds in 1–2 business days after initiation in the United States and 2–4 if you’re located in the Philippines, where there is also a cash deposit option. They have a digital wallet that users funds are stored in under their custody (centralized). The most robust list of cryptocurrencies of the platforms mentioned in this article. Currently at 25 cryptocurrencies. The platform is available to both, citizens in the USA and EU. The platform has a partnership with American Express, so there’s no need to fret about excessive cash advance fees some providers tag on when using a credit card. No deposit fees on ACH bank deposits at this time. Difficult user on-boarding, according to their reviews. Difficult to exit the market with USD. Multiple users have reported sub par experience with cashing out their fiat to their bank accounts. Low deposit and withdrawal allowances. Most reportedly the amounts range around $200 USD. Least user friendly UI/UX in comparison to the other two platforms in this article (subjective to the user). ACH deposits takes 1–2 business days to clear, which can cause users to miss out on opportunistic rates. Blockport I’ve featured before in my “under the radar series”, and for good reason. It’s the only “decentralized” project that’s usable, to onboard users into the crypto market. They’re currently beta testing their DEX, but it’s open to all users living in the European Union (EU) and/or that have a European bank account (Revolut is an excellent option to open a bank account that converts to Euros from USD). 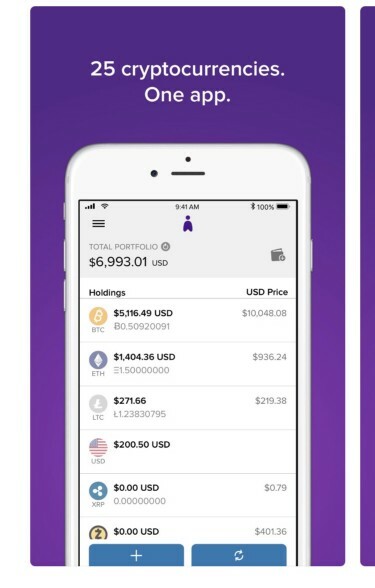 Their initial trading pairs expands beyond Coinbase, but not yet as extensive as Abra. You can currently purchase BTC (Bitcoin), LTC (Litecoin), BCH (Bitcoin Cash), ETH (Ethereum), and XRP (Ripple) with fiat. It’s a solid line up to allow the casual crypto guy to try it out or to enter more extensive exchanges (by withdrawing to a personal or exchange wallet). It caters to both, the beginner and experienced trader, both whom can benefit from participating in their social trading platform that I will discuss later. If you’re concerned about the platform being in beta testing, blockport (BPT) token holders can attest to the lengthy, detailed tests the team conducted prior to making it an “open” beta. The team is mostly concerned with making the UI/UX, while already impressive (resembling Coinbase), as efficient as possible. Blockport operates by using an API to arbitrage between exchanges for the best possible price on tokens/coins. They’re currently linked to one platform at the moment. However, once this is fully developed, I expect it to provide the best user experience of the platforms mentioned here and elsewhere. In addition to the exchange API, Blockport also serves as a compliant, secure wallet if you wish to stow your cryptocurrencies there. The project is hybrid-decentralized, making it inherently more safe than any other platform mentioned. The platform is linked to centralized exchanges, while making the wallets decentralized. You own the private keys to your wallet not Blockport, therefore you have full control over its use and security. This hybrid-decentralization feature is only offered in Blockport, giving the customer a more safe, holistic, and transparent experience. 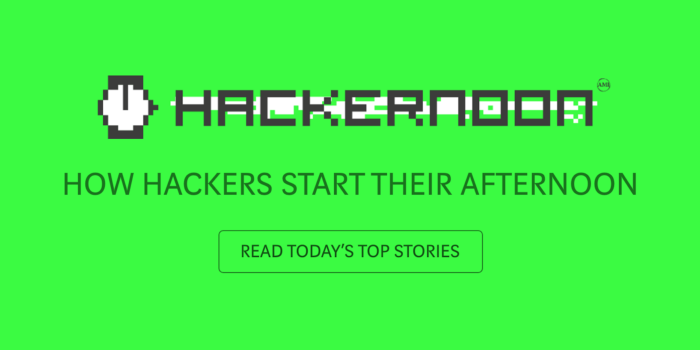 Their beta testing has on-boarded more than 5,000 users to date and they’re ready for more. Blockport recently announced that new and existing users will be able to deposit Euro (€) with zero deposit fees until October 1st. 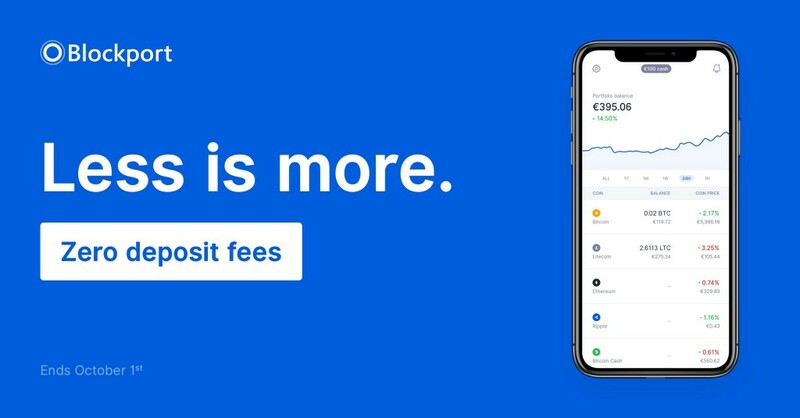 While users can trade with transaction fees of “0.30%.” That’s quite a big difference from the 4% Coinbase currently charges (more if you’re using a credit card). Differing from the other platforms, Blockport’s planned social-trading feature is to be debuted in the next release from Blockport. Social trading will allow experienced traders to earn, while publicizing their trades to their “followers”, who pays them, creating a win-win environment for inexperienced and experienced traders. 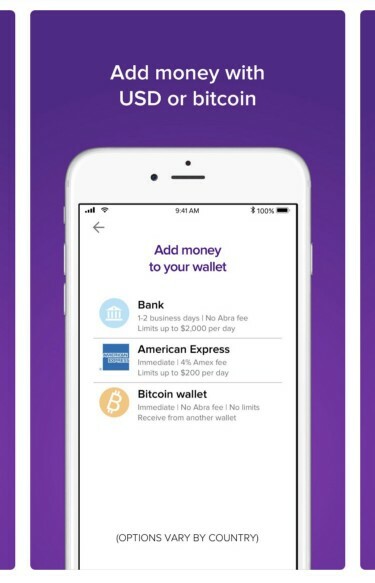 Other planned updates include: token/coin expansion, support for additional users (users outside of the EU), exchange expansion, a store (to allow users to purchase their native token, BPT, which can be used to discount transaction fees), mobile application release (you can use Blockport on your mobile browser currently), and more. Visit their website for a look at their roadmap and to try their platform (again with zero deposit fees until October 1st). Blockport has zero fee deposits until October 1st of this year. Bank deposits are instantly available for use. Low transaction fees on trades. The arbitrage provided ensures that you’re paying the best market price and not a premium. You can receive a discount on your trading fees in the future by holding their native token, BPT. The platform has an intuitive UI/UX that’s available mobile and via desktop. The wallet provided on this platform is decentralized and you hold the private keys to it (you control the safety of your wallet). The platform is currently only available to users located in the EU. Blockport is still in beta testing, while it’s seems more than adequately tested, which could be a concern for users. If you’re in the USA, Coinbase is your easiest platform to introduce new comers to the cryptocurrencies. It is intuitive and easy to use, with a similar UI/UX to Blockport. Here users can purchase crypto’s with fiat (USD and Euros) via bank deposit, bank wire, and credit card (beware that using a credit card not only increases your fee with Coinbase, but will add cash advance fees with your card provider). The token/coins currently offered are: BTC, BCH, LTC, ETH, while they have released an update that ETC (Ethereum Classic) is planned to be supported in the near future. Additionally, Coinbase announced future support for more tokens with no official list date. Read about it here. This platform is also good for entry into the market, but isn’t decentralized so there is a concern over safety of your currencies. The fees range around 4% for bank deposits and bank wire. It’s more to use a credit card. These fees do not take into account the fees charged by your financial institution (ex: cash advance fee charged for using a credit card or bank wire fees charged). Coinbase also recently announced Coinbase Pro and Coinbase Custody, which will tailor more so to institutions. This shouldn’t affect the user friendly application (Coinbase is also accessibly via mobile browser and desktop). 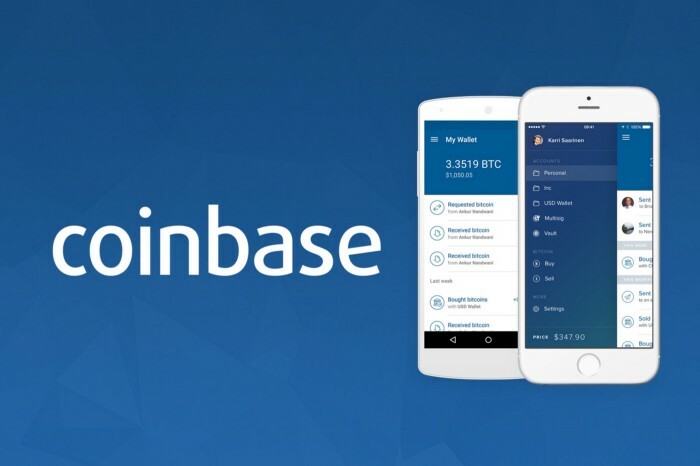 Visit Coinbase to check out their application and to find the latest news. It’s the most accessible, user friendly fiat to crypto gateway for citizens of the United States of America. They also feature a more sophisticated exchange, Coinbase Pro, that you can transfer to for zero fees. The funds in Coinbase temporary custodial wallet (the crypto or USD in your wallet) are insured against any hacks. For some users ACH bank deposits are made available for instant use. The fees tend to be on the higher side when compared to most other fiat to crypto gateways. The cost of the coins/tokens on their platform is always higher than market rate when buying and always lower than market rate when selling. This puts you at a disadvantage. For example the market price of ETH could be 750 and Coinbase premium rate is 765, which is a 2% premium that puts you at $15 loss automatically after purchasing. The credit card fiasco earlier this year broke the trust of many with Coinbase. In addition to the higher fee you’re charged when using credit card on Coinbase, your credit card company may also charge you a hefty cash advance fee. Your funds are in a centralized wallet that you do not hold the private keys for, however the wallet is insured. I will be periodically updating this article as more fiat to crypto gateways emerge. Onboarding the Crypto Train: Fiat Gateways was originally published in Hacker Noon on Medium, where people are continuing the conversation by highlighting and responding to this story.